I like both of them , jazz can confuse enemy and make sure they use their specials, while prowl can power drain with his sp1. Who should i take to rank 5? Prowl is a game changer. His signature ability synergises well with his SP1, you can always dash back, charge 10 melee buffs, do an MLLLM combo, spam SP1 and the opponent will pretty much have no power to use. Prowl also hits pretty hard, his evade is decent too. Not a fan of Jazz, I used to think he's an underpowered bot due to his lack of damage. Until they can tweak Jazz to handle shorter fights by giving him a relevant sp1 and sp2, I'd go with Prowl. While Jazz's damage will only get better as the fight progresses (and it is amazing), it requires both OG and a lot of time spent baiting out specials, which means more chances to take damage. Prowl has a great sp1 and sp2 that you can use right out of the gate (his sp3 is very situational), can ramp up damage in rechargeable bursts that can also gain power through it while draining opponent power. You'll get so much more mileage out of him. And this is coming from someone who really wanted Jazz to be good (mine is already r5 and max forged). Aight! Thanks for ur opinion everyone! Synthwave is overlooking jazz's heavy, which makes baiting easy and also deals great damage. I also find that it connects a lot. It's a long range shot too, which can minimise risk of a counter. Prowl is great, too, just a little more finicky. No, I assure you I'm not overlooking his heavy; it does great damage and it does connect quite a bit. But what happens when you come up against a reflect mod? Jazz becomes utterly useless then while Prowl doesn't have to worry about any of that. And please don't take this as some kind of veiled, passive aggressive insult; it's not, I promise. 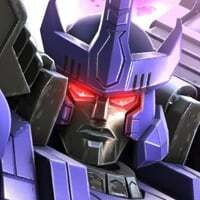 But when you play game modes like AM at a much higher difficulty, Jazz just don't last as long as Prowl. You're facing off against bots with 3 times your own PI level being run by a much more devious AI that behaves very differently than running, say D20 on map 3. The more time you spend fiddling about with trying to ramp up damage or heavying repeatedly to trigger confusion, the more of a target you make yourself; and targets at that level just get obliterated when they're hit. I'm sure Jazz can do a great job at those lower levels where the AI is a little more forgiving, but some bots just don't scale up at higher difficulties. If they redesign him a bit to make his first two specials and his sig more relevant to shorter fights, I'll be the first to try him out and see if he can make the team. The truth hurts, as I really want to be one of Jazz's biggest fans, but he's definitely more of a niche, specialist bot right now and not a dependable workhorse the way other bots like Prowl are. Are people overlooking the stun potential on Jazz' sp1 here? What stun lol? It's rarer than rockinghorse sh*t.
You hardly ever see it because 2 of his other game mechanics are effectively overriding it. The first one is his confusion debuff, which you need to trigger the stun in the first place. Most times the opponent does what it's being told to do while confused, which is use their special, thus removing the confusion debuff (and therefore your chance to use sp1). The other mechanic is his poorly conceived sig, which gives you the smaller payout in the stun department. A one second stun? Seriously? What are we supposed to do with that? It's just long enough to get you into trouble because by the time you see it happening and you move in to capitalize, it's over and the opponent is now beating on you. They're beating on you, Dave!!1!! But let's say you do manage to get by those 2 mechanics interfering with your sp1, you land a confusion debuff and then an sp1. You still only get a 20% per hit to land it. Most times it won't trigger. And when it does you're sitting there staring at an opponent stunned for 3 seconds and wondering why you even went to all that trouble anyway to get the stun (other than just the pure challenge of trying to get the damn thing to work). Because when you think about it, the stuns you're trying so hard to get don't give Jazz anything game-changing. What can you do with a stunned opponent with Jazz's current toolbox? It's not like WB who can capitalize on heavy bleeds or anything with a chance for more easy stuns. With Jazz you get what? One free 5-6 hit combo with crit bonuses? In the end, the pay off ain't that great for all the trouble you have to go to to try and set it up to make it happen. If anything, you risk taking damage trying to move in on a confused opponent that's being told to get rid of their special. It's too risky for such a small payout. You're really better off just bringing OG for the synergy, baiting specials and ignoring Jazz's first two specials altogether. It's less complicated, you get more damage but it takes a long time. But most importantly (and tragically, for me anyway) you have to spend 5 minutes using a beloved character with a historically flamboyant and charismatic personality who has been shafted with conflicting abilities and poorly thought out payoffs that threaten to KO you for trying to get them to work. He's the most schizophrenic bot on the TFTF roster right now; easily. I really hope they fix him. 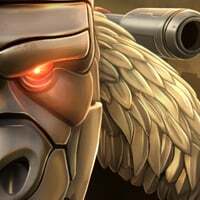 Stun is to be exploited on enemies without sp3. Otherwise you still need to slow down and bait special if the fight wears on. I land the stun quite often, but I only go for it when they are below sp1 stage. When they are stunned, you can land 5 ranged shots + 5 hit combo, so the damage can be decent and you get 2 more crit buffs. But hey, until I join you again I'm happy to take your word for it. I know you know your stuff so I'll rock him in AM first week back and see what happens! Good point on the reflect ranged mod. A lot of the ones now in the missions reflect basic and heavy ranged attacks. So annoying. No insult taken, synthwave. I was responding to your comment about jazz not handling shorter fights and you have now responded by saying he can't handle longer/harder fights. It's okay if you just don't like a bot or you haven't figured out a good Strategy for him yet. Just as a brief response for those harder fights - I'm thinking more ROK than high level am, admittedly. A good foundation for the fight is to build to an sp3 early. You now have permanent backfire on the opponent. The confusion buff will help you control how often it fires - obviously you want them setting off their sp1 as this will backfire more often. As for reflect mods or buffs - good point, well made. You have to rely on melee skills, sp1 and sp3. Despite his speed getting in and out, it's not his strong suit. Another weakness for jazz is his weakness as a base defender - confusion does nothing against non-ai raiders. 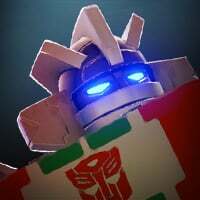 Prowl is a much stronger base defender, if that's important to you. All this, and I still prefer jazz. I don't care much for base defence, I'm not playing extremely high level am, and I back myself to adapt against different mods. He's fun and you can play different strategies with him. Horses for courses really. Sorry, I should've clarified about the difference between a long Legends of Cybertron fight and a long AM fight. They really are two totally different animals. A RoK fight right now is about 10 minutes long, whereas an high-level AM fight is about 3-5 minutes (they just feel really long at higher levels). I know how to use Jazz in a RoK-type fight. I can jump on the game right now with OG, Rat, MV1, Grimlock, and Jazz and run through RoK in an hour without having to revive anyone. So for me, RoK isn't a problem. 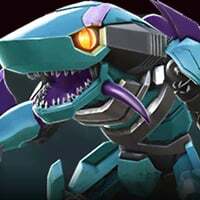 The AI is predictable and pretty vanilla and other than Mirage, the attack on all the opponents is super weak (I just use Grimlock for him). They're basically just juiced up with HP, which is what Jazz was basically built for, running through bots with lots of HP and low attack. But in high level AM's if you put Prowl in a bot-for-bot race where they face the same bots, Prowl will win simply because his skill set is built for quick fights that debilitate enemies by robbing them of power. At higher D-levels, the AI gets a lot more sneaky about when and where they trigger specials, so in my opinion it's better to just make sure they never get a chance to use specials rather than trying to dodge the specials to eek out attack stacks to use against them. It's like you said though, in the end it's all going to come down to personal preference and believe me, I really do want to like Jazz (like I said I r5'd and max forged him) but I just can't get behind him with the way he plays right now. 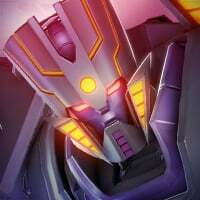 As soon as they release chapter 3 of Legends of Cybertron, I'll be all over it with Jazz, but until then (or they change him to be ) he's gonna stay in the garage. lol, no worries Davey. And yeah I get what you're saying about landing sp1's before they have a special (it's a small window but a window nonetheless). But the 20% chance to stun is still too low for me to try it over the whole confusion + bait special + counterattack strategy. There needs to be more incentive to use his sp1 and sp2 and right now there just isn't. I guess that's why I like Mirage so much. Mirage is a fantastic bot because his specials are balanced to handle long and short fights. That's what I wanted from Jazz. A scout version of Mirage who you could feel good about using all his specials because they make sense to use and you know they're gonna do something to help you and don't conflict with each other. That said though, bring on the AM videos. What few AM fights I recorded with Jazz have been deleted due to shame and embarrassment lol. I said videos, not AM videos lol.